Enjoy the best inspirational, motivational, positive, funny and famous quotes by Ahmad Shukeiri. Use words and picture quotations to push forward and inspire you keep going in life! 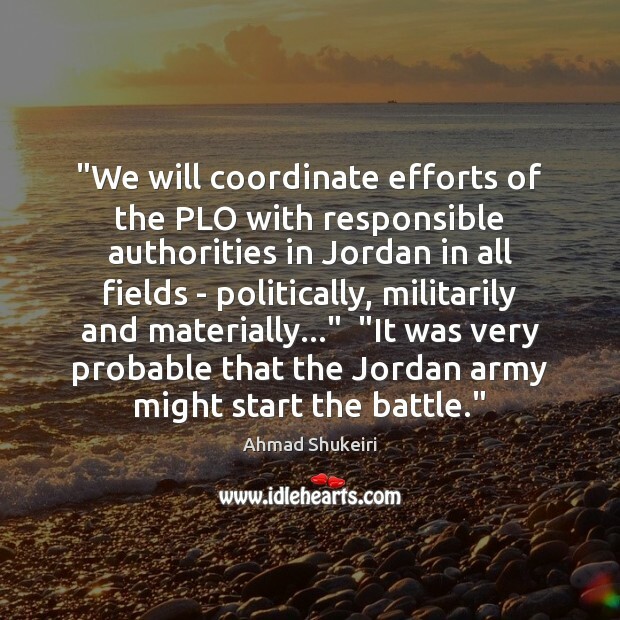 "We will coordinate efforts of the PLO with responsible authorities in Jordan in all fields - politically, militarily and materially..." "It was very probable that the Jordan army might start the battle."